Nazaré is a colorful fishing village in central Portugal. Located almost 80mi north of Lisbon, this village will not disappoint those, who are looking for a peaceful vacation spot. 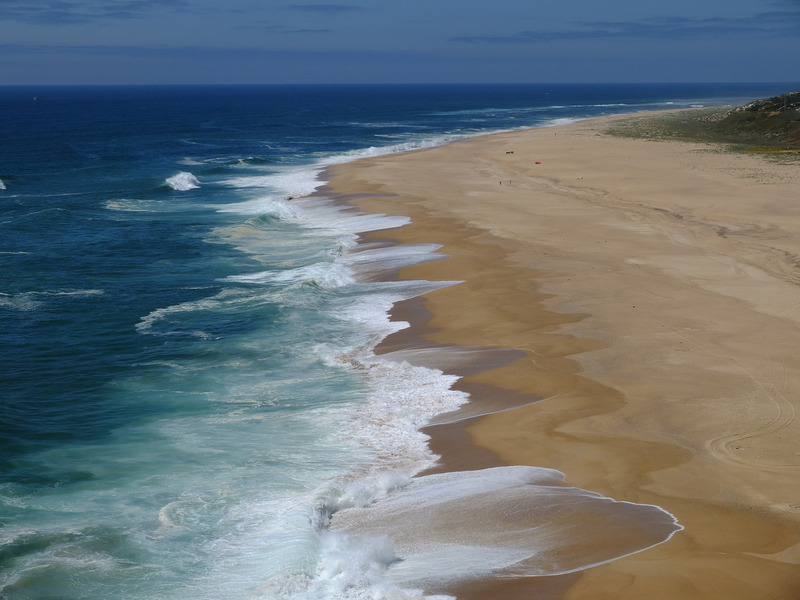 With a beautiful sandy beach and the rhythm of the pounding waves, Nazaré is a perfect place for undisturbed walks along the shore, surfing, tanning and, of course, fishing. The town gets its name after a statue of the Virgin Mary, which was brought from Nazareth by a monk in the 4th century. 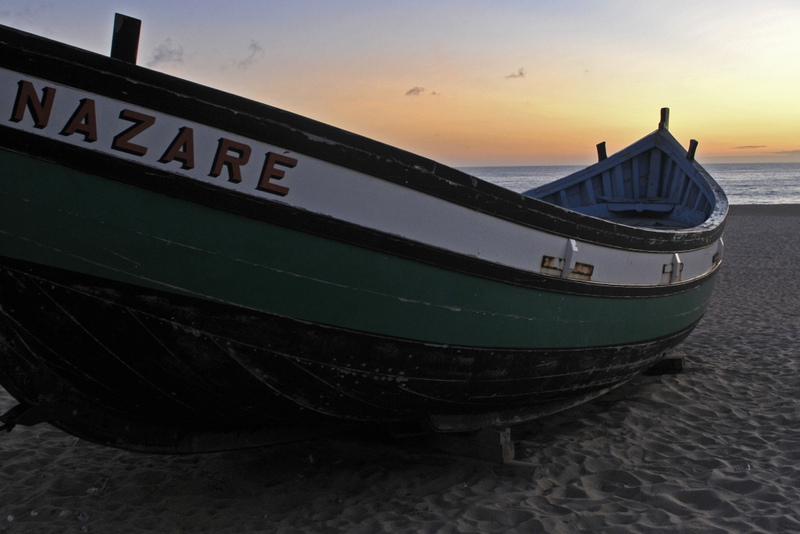 Nazare has three districts: the beach; Sitio, high above the main town and Pederneira. So, it has some interesting site-seeing spots. On the town square, the 17th century Nossa Senhora da Nazaré Church is located and the statue of Our Lady of Nazareth rests there. 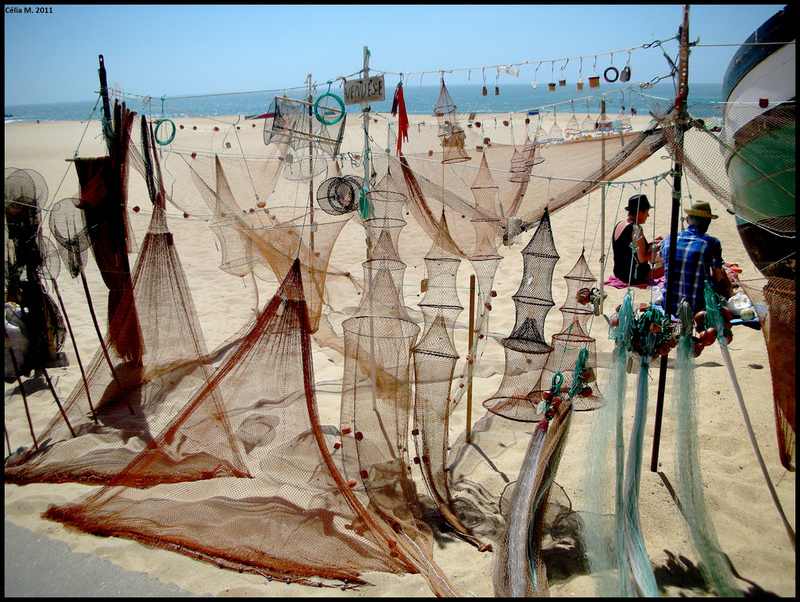 Another attraction is on Rua Sousa Lobo and its the Casa Museo do Pescador or a fisherman’s house museum. This traditional cottage is a typical home of a fisherman and his family. 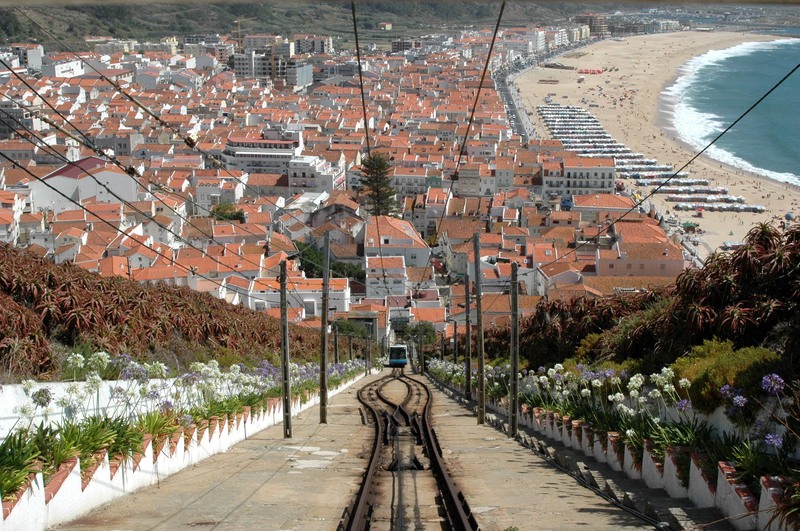 The most popular things to do in Nazaré is to ride the funicular to Sitio. It is located 360 feet above the main town and offers panoramic views. Sitio has a chapel Capela da Memoria. It was built in the 12th century to commemorate a miracle. A nobleman was saved from falling over a cliff, while hunting. It is believed, that the Virgin Mary stopped his horse just in time. Also, there is a pillar inscribed to commemorate Vasco da Gama’s visit, after his voyage to India. He was a Portuguese explorer and the first European to reach India by sea. Nazaré has a lot of cafés and restaurants along the seaside. Obviously, most commonly served dishes consist of seafood and variety of locally caught fish. Colorful fishing boats are seen on the sand, along with busy fisherman. They still wear the traditional costumes, with check shirts and trousers. Local women are wearing colorful dresses, with petticoats underneath as well. 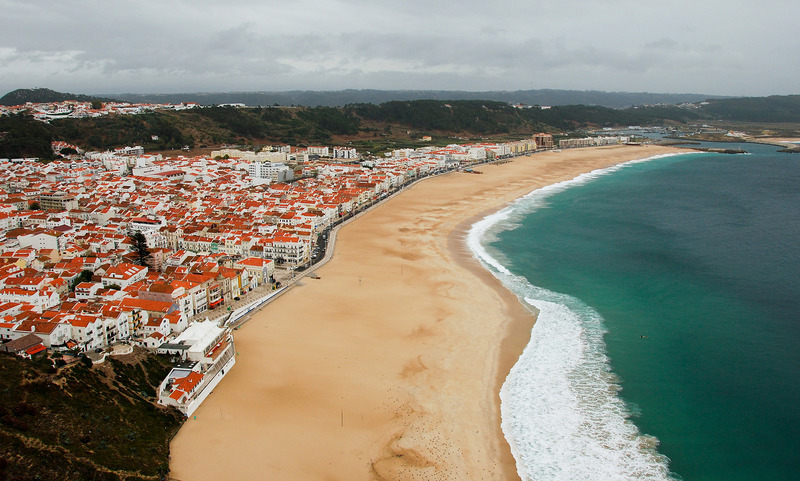 Unlike the other Portuguese towns, Nazaré does not have a monumental architecture or historic sites. However, the slow pace and genuine traditional lifestyle, make this charming town a great place to visit. Wow, what a nice fishing village. Thanks for share.